where is the key to the door? can we listen to our inner ears..? start with what you can do. on my "Anew at Home" CD. MP3 single available on iTunes. 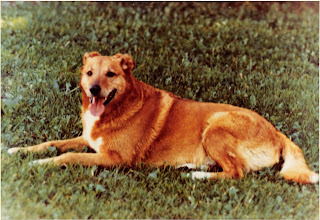 I often would think of my childhood companion and friend, my dog Rover. He would run with me up and down hills when I would be riding my bike. We would wrestle in the snow and jump into a big pile of Fall leaves. Rover would come to school and wait for me. Rover was the kind of dog that kids dream of having. He loved to play with us all the time and he felt like one of us kids. 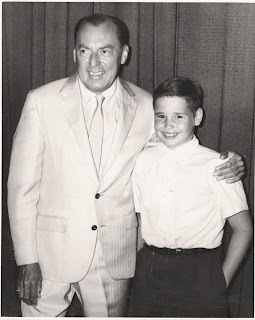 Sometimes, at night, when parents in the neighborhood would call out the name or names of their children to come inside, my father would yell out, "Norman! Marcey! Neal! Rover!" Sometimes, he would get mixed up and call one of us kids "Rover"! "The Red Scooter" is a playful piece about having childlike fun. The next time you play (or listen to) it, connect to some fun childhood circumstance of your own and enjoy the ride! Here is a sound clip of "The Red Scooter" from my "Anew at Home" CD. Master Manlon: "So, is there any objective way we can assess what makes a sound a 'good' sound or a 'bad' sound? Yes, Selby?" Selby: "Is this the question we should be asking? Doesn't it depend on the context of the music, what would make a sound appropriate or 'good' for that circumstance?" Master Manlon: "Ahhhhhh! So, any sound could be a 'good' sound, if it fits the occasion or a specific piece of music?" Selby: "That's what I would think, but we do have our personal likes and dislikes. 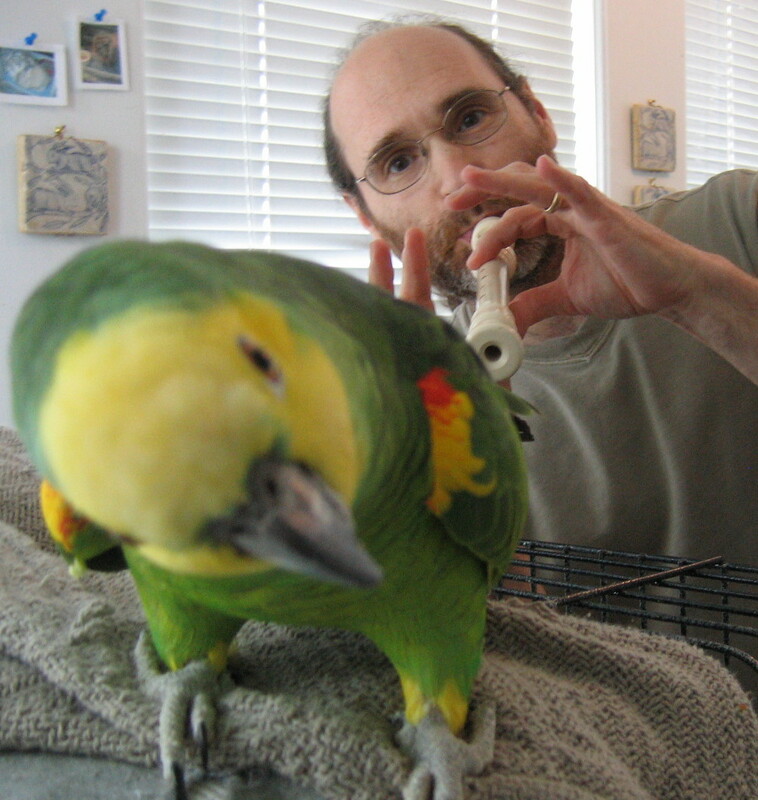 I know what kind of oboe sound I like." Master Manlon: "If you hear another oboe sound that is different to the one you like, can you still hear the music the person is making?" Selby: "To be honest, it does get in the way of my hearing other qualities, at times, and does challenge me to listen beyond my own concepts." Master Manlon: "I thank you for your honesty and openness. You have just hit at the root of prejudice." Master Manlon: "Blinded by sound. Blinded by appearance. Blinded by that which is different to oneself. The root of prejudice or the potential seed for prejudice to grow, if not educated or directed into a broader perception." A lot of brass players--in fact, instrumentalists, in general--classify sound according to 'dark' and 'bright.' Oftentimes, 'bright' can mean 'bad' and 'dark' can mean 'good.' Oftentimes, 'bright' can mean a 'thin' sound and 'dark' can mean a 'full' sound. In my estimation, this is not accurate. I have heard resonant, beautiful, full 'bright' sounds and very dull, thick, heavy, unvibrant 'dark' sounds. To add to this, not everyone agrees what a 'dark' or 'bright' sound is! If we are blinded by our concept of sound, it is no different than a person who is physically attracted to a certain body-type. Not all the time is their 'ideal' body-type full of content. I would encourage those interested (the next time you listen to players), to try to hear what the players are communicating beyond ones own school of thought of what is 'good' playing and 'good' sound. One good exercise in broadening ones concept of sound is to listen to many different kinds of players and feel the unique flavor, texture and substance of that sound. For example, I play trombone. But I don't always think of sounding like a trombone. Sometimes, I go for the haunting sound of a wooden flute or the intensity of a romantic cello or the crispness of a sharp bassoon staccato. I try to use all the instruments and have them be a part of my sonic palette. We looked down in an area of tall reeds and saw this frog who was sitting in perfect silence. In the very next moment, it began. One low short tone followed by another and another, coming from many different places around the small pond. Slight variations in pitch, rhythm and timbre, moving with breathtaking momentum, surround sound. Holographic, rhythmically complex, making sense, yet totally mystical and personal.... We were the only human listeners. Awesome, magical and totally natural. A special, unannounced concert for us. The frog concert ended as suddenly as it began. Just like life itself. The frog concert--for us and all the other lives that witnessed it. A moment of eternity, sanity and peace. Just because you can do something currently, doesn't mean you will always be able to do it. Take sight-reading, for example. When I was growing up, and until I got into the orchestra, I was an excellent sight-reader. That's what I was told by others and I knew myself that I was pretty good at it. This ability stayed with me through my Empire Brass days--all of those guys were GREAT sight-readers. After I left the group, the need for me to sight-read difficult music occurred much more infrequently. Occasionally, we would get a Boston Pops piece in the morning and have to play it on a TV show that evening. The same with Pops recording sessions. A piece would turn up in the handwritten manuscript of the composer (oftentimes, divisi) and then the recording light would go on! Time for the first run through! But there was no demand for me to sight-read on a regular basis. Since I knew what the orchestra would be playing a year or more in advance, I started to see my sight-reading get rusty. Then I noticed a lot of students sight-reading was not very good. So, I decided to write a sight reading book using four clefs (treble, alto, tenor and bass). I titled the book "Reading at the Speed of Sight." The book is not easy at all and was designed in such a way that most of the studies are not predictable in their harmonic outline. In other words, they are not meant to be beautiful nor meaningful in their musical content. The purpose is to develop sight reading-skills or to improve the sight-reading ability we have--or used to have! Many musicians who are freelance artists need to be able to sight-read. Many times they are called to play at a moment's notice and having good sight-reading skiills is valuable and impresses the employer and fellow musicians. Ed Von Hoff, my mother took me to hear Woody Herman and his band. At the intermission we actually got to meet him and someone took this picture. It was 1965 and I was 10 years old. It was such a thrill to hear and meet him, let alone get to take a picture with him! At the break, I also met the trombone player. I wish I could remember his name. I went up to him and said I played trombone too. He said, "Great, maybe you will be playing up here one day." I said I wanted to be in an orchestra. He smiled at me. Then, I innocently said to him, "I saw you puffing your cheeks when you were playing. I thought you weren't supposed to do that?" He looked at me, smiled again, and said, "Well, you are right. I shouldn't be. But I am." It has been almost 43 years to the day that I started playing trombone. I'll never forget that day when my beloved mother took me to the music store and we rented my Olds Ambassador trombone. I felt so proud as I walked down the street carrying my new trombone. I was astonished when we were walking down the street and this man said, as he walked past me, "Well, young man, I see you have a trombone!" I looked at my mother and said, "How did that man know that?" My mother responded by saying, "Maybe the different instruments have their own special cases." After I received my six free lessons at the music store (which was part of the deal when you rented from this store), I started taking lessons from a band director and music teacher in the St. Paul puplic school system. His own instrument was trumpet and his name was Edward 'Ed' Von Hoff. He took me as a student because he used to live next door to my mother many years before. His house was a half mile from where we lived. I remember that walk as if it were yesterday. He was a very thorough teacher. Each week I had to learn a scale, memorize a little piece and do some sight reading. If I played out of tune, he would stop me and say, "Normie, do you smell that?" He had a great sense of humor. Every time I would empty my spit valve, he would tell me to empty my spit into a glass, put it into the fridge, then serve it to guests. He said they would love it! I laughed so hard I thought I would fall over! After two years of studying with Mr. Von Hoff, he told me that I should take from a trombonist. I learned a lot from him. He loved music. He would always try to come to other concerts I was in later on to hear me play. Just for the record, I never served any one that special cold drink--yet! It is exactly 34 years ago today that I moved to Boston from Minnesota. It got me thinking about a lot of my past and how fortunate I was to have had the teachers I did, starting with my first four. My first trombone teacher was actually a trumpet player, Edward Von Hoff. The second trombone teacher I had was Ronald Ricketts, former second trombonist with the Minnesota Orchestra. He was the first trombone player that I actually took lessons with. I was eleven-years-old at the time. I'll never forget that very first lesson. I was playing on my Olds Ambassador, the very first trombone I ever played on. My mother rented it from a music store in St. Paul named Schimdt Music Co. Anyway, Mr. Ricketts asked if I could hit a high B flat, and I did. In his very calm voice he said, "Wow, you can even hit a high B flat. That's good. Can I try your horn?" I said, "Sure!" So, I gave him my horn and could not beleive what I heard! This beautiful sound was right then and there implanted in my mind. It was warm, resonant and open. That was my introduction to a beautiful, symphonic trombone tone. Ron Ricketts was truly a great trombonist and teacher. He was a great euphonium player as well. 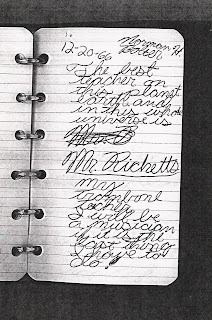 One day after I had already taken some lessons with Mr. Ricketts, I was writing in my little diary. At the time, I was really ticked with my sixth grade teacher and was not liking school very much. (I just wanted to play my horn and study other subjects I was interested in). So, I wrote this page (photo above) about my great trombone teacher in my diary. I was very determined, even at that age, to become a musician. I also was very fortunate to have had people that beleived in me and always supported my musical endeavors. This following dialogue is excerpted from one of Master Manlon's master classes. 'Julian,' the young man said. ...'What were you thinking about when you were playing?' asked Master Manlon. After a moment of of sensing what the acoustical return from the audience and his own registrations were, he [Master Manlon] proceeded to ask Julian again what he was thinking while he was playing. 'I was thinking this feels better. It sounds good and solid,' answered Julian, with a slight timbre of frustration in his voice. The above is from my book in progress, "The TAC Legend Writings." Click here to read another excerpt. 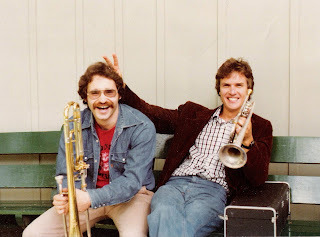 While cleaning my office yesterday, I went through some old boxes and found this photo of trumpeter Rolf Smedvig and I in the summer of 1977. 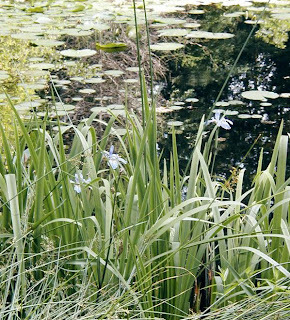 The picture was taken on the Tanglewood grounds. I was 22 and Rolf was 24. Oftentimes, Rolf and I would practice together or play the Bach Two-Part Inventions. His playing had the ease of someone blowing bubbles. His fluid articulation, vibrant beautiful tone and expressive long line were truly exceptional. I learned a great deal from playing with him. 1977 was a pretty big year for the Empire Brass (Quintet), which also included, at that time, trumpeter Charles Lewis, hornist David Ohanian and tubist Sam Pilafian. We went on a three-week tour of Spain in the winter, gave our Naumburg Chamber Music Prize concert at Alice Tully Hall in New York in the spring, and, later that spring, made two recordings--one called "Baroque Brass" and the other called "Russian Brass," which was the the premiere recording of the Victor Ewald Brass Quintets Nos. 2 and 3. Ewald's 1st quintet is also on this recording. We used to play all day long in those early years. Between Boston Symphony rehearsals and concerts and EBQ rehearsals and concerts, it was easy to play six to eight or even 10 hours in a day! This is when I discovered the real importance of warming up and sometimes warming down! The quintet reahearsals were very intense and often confrontational! But we all had great respect for each other and we had lots of fun and unbelievable humor as well! I look back now and feel very proud to have been a part of such a great musical and pioneering chamber music group.